​Spanish giants ​Real Madrid have refuted reports claiming that they have launched a world record transfer bid to lure striker Kylian Mbappe from Paris Saint-Germain with ​Marca claiming that no such negotiations have taken place between the two clubs. It was widely reported that the Los Blancos were preparing a massive €280 million transfer fee for Mbappe, with manager Zinedine Zidane himself keen to see the deal through, but a club spokesperson has denied the reports. "Real Madrid will not bid to sign Kylian Mbappé. As of now, there has been no contact between the player and any of our execs, and we have no intention whatsoever in entering any negotiation of the sort," a club spokesperson said to Marca. 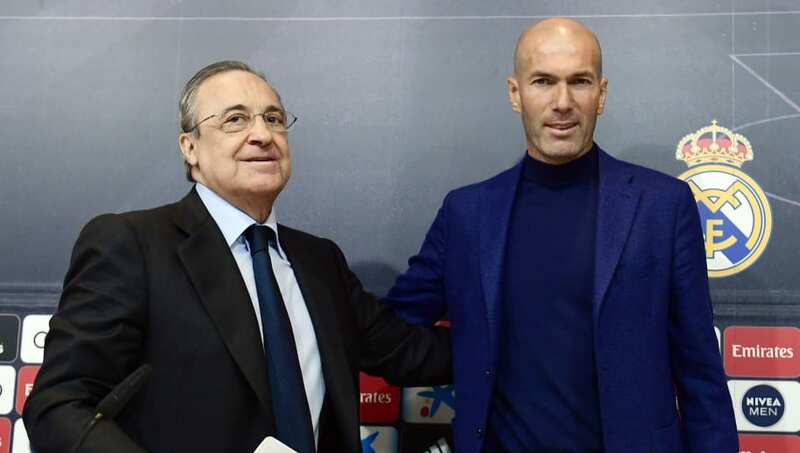 The report also states that while both club president Florentino Perez and Zidane have discussed transfer plans, there has been no decision made to spend €500m in the summer transfer window as speculated by the media. The club hierarchy will take time to study the market and possible players, though Liverpool's Sadio Mane is understood to be of interest, with Madrid keen to sign him, though nothing official has come out from their camp as of now. Madrid have had a poor season by their standards and are likely to end the campaign without a trophy to their name following their exit in the UEFA Champions League, Copa del Rey and their substandard form in the La Liga.